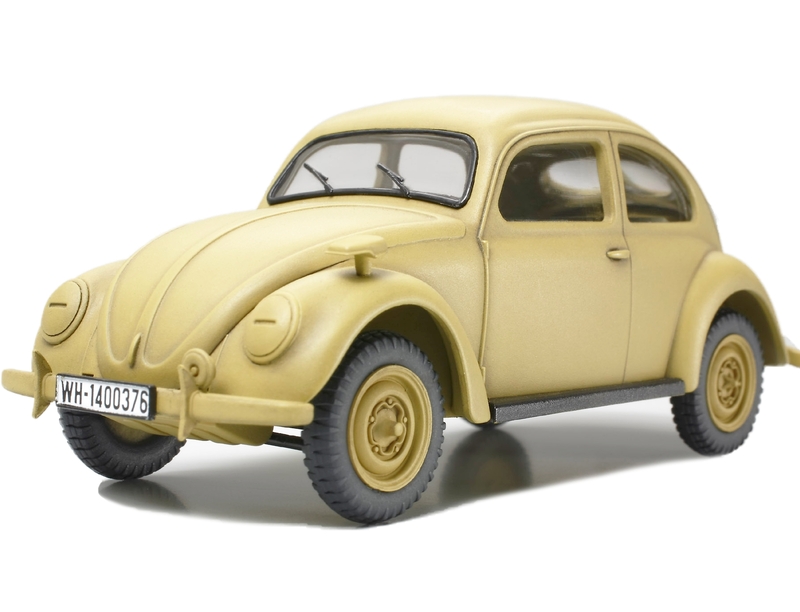 Entering production just prior to the start of WWII in 1938, more than 20 million models of the Volkswagen "Beetle" had been built by 2003. Known during the war as the Kdf wagen, the VW came in 3 types: Type 60 civilian sedan, military Type 82E, which featured the Kubelwagen chassis and a sedan body, and military 4WD vehicle Type 87. As many as 546 models of the Type 82E were built between 1941 and 1946. Featuring road clearance 75mm higher than the civilian model, the Type 82E offered improved driving performance. The Volkswagen Type 82Ewas used as a staff car by many German military and government officials. 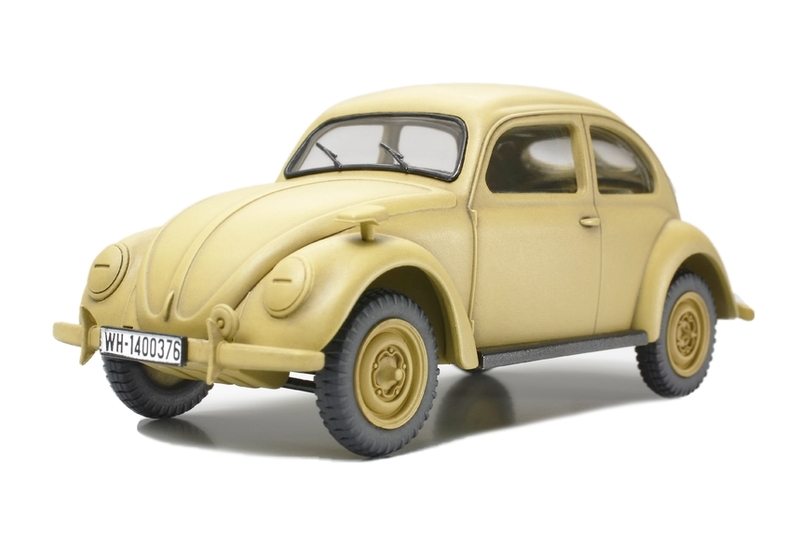 Replica-quality 1/48 scale finished display model of the Volkswagen Type 82E. The model comes fully pre-painted, complete with expertly-applied wash technique and light weathering effects for enhanced realism. Unique pad-printed markings easily distinguishes this item from the assembly kit version. Spin-cast metal rear seats provide added weight for a greater sense of volume. An excellent stand-alone piece, it is also perfect for a diorama display with 1/48 scale aircraft, vehicle, figures, and buildings.